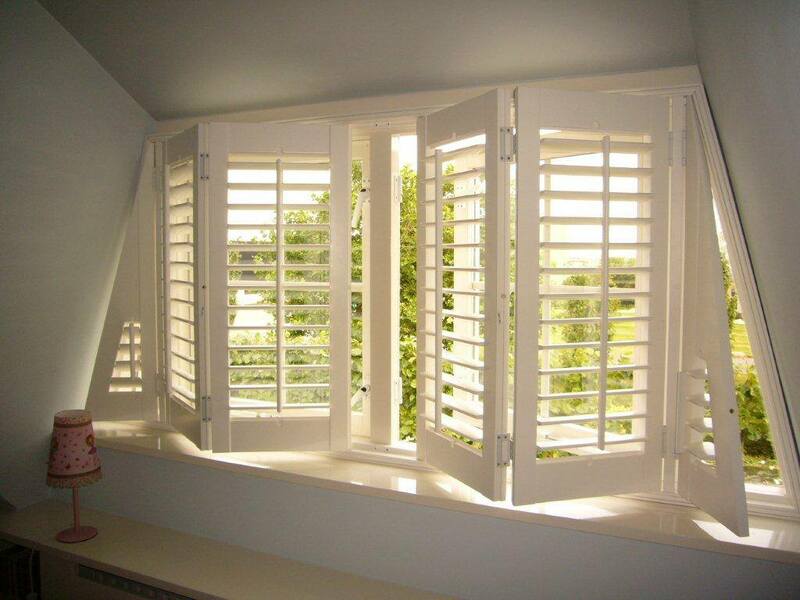 Plantation shutters are timeless in style, and suit many applications. We offer high quality, custom made shutters for both inside and outside. Our supplier in China has been developing and manufacturing a vast range of them for over 10 years. This enables us to have complete control over quality and allows us to perfectly meet your needs. Western Red cedar or Basswood options available. Basswood is amongst the straightest of hardwoods globally and is ideal for producing shutter, whilst being very strong and lightweight. The standard range comes in 14 modern painted colours whilst Premium Basswood has 15 stained colours. Regardless of the colour, we use UV resistant, no odour and environmentally friendly water based paint. This gives you peace of mind. 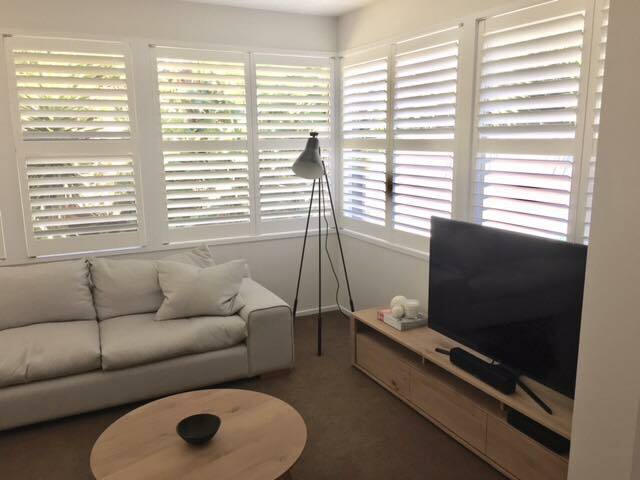 Basswood Shutters can be made with Fixed blades, or controlled via Centre, Hidden or Offset tilt rods, hinged panels, bi-fold and sliding systems, french door cutouts, bay window designs and specialty shapes. For wet areas we suggest using the Luxaflex Polysatin Shutters – 20 year warranty against blades chipping and splitting. It can be taken outside and cleaned with a hose. Louvres can be closed tightly in both directions. One touch control to open and close the shutters. Available in 64mm, 89mm and 114mm.